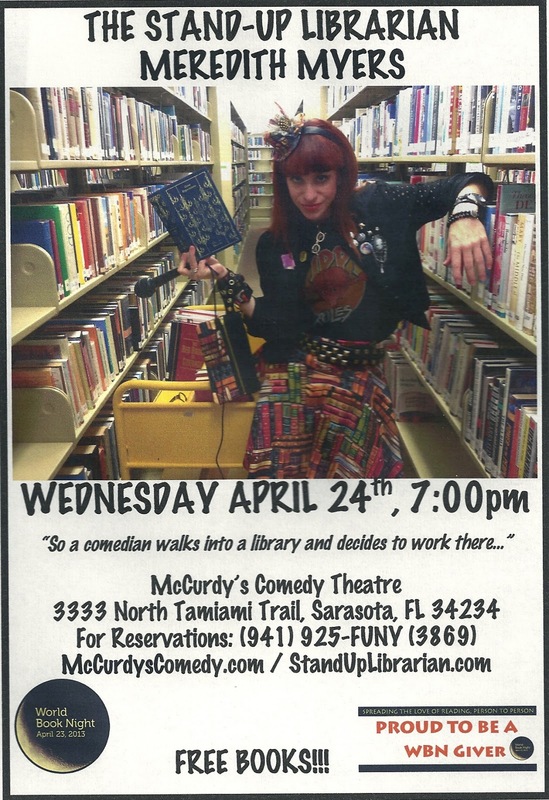 I've got a busy week ahead full of a variety of shows and appearances including a play, a library staff day, a craft fair, and the one you should not miss - McCurdy's Comedy Club! 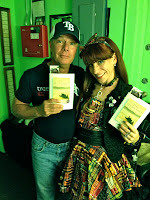 On Wednesday, I will be popping into McCurdy's Comedy Club in Sarasota for a quick 20-minute set in honor of World Book Night to promote reading and give out free books to the audience. While WBN is actually Tuesday, I am already committed to doing a play, so I figured why not extend the celebration!?! What is World Book Night you say? World Book Night U.S. is an ambitious campaign to give thousands of free, specially printed paperbacks to light or nonreaders across America on one day. Volunteer book lovers help promote reading by going out into their communities and sharing free copies of books they love. 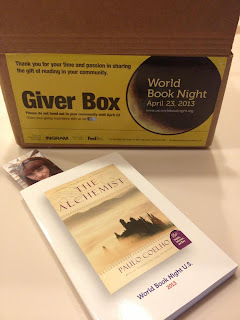 The mission of World Book Night is to seek out those without the means or access to printed books. 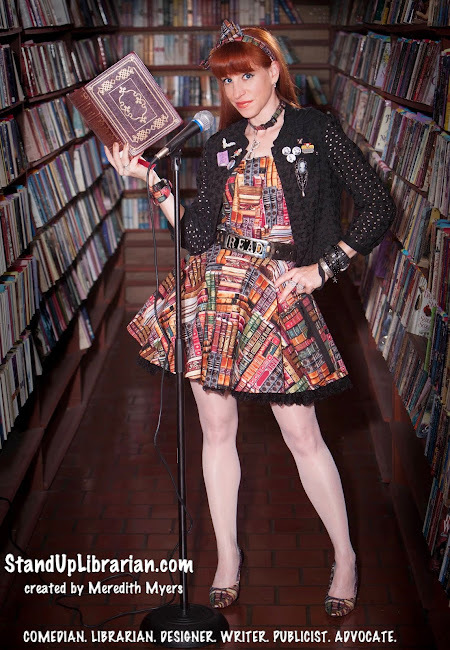 My mission as the Stand-Up Librarian has always been to educate and entertain people about the importance of libraries and literacy, which means that most of the time I am trying to reach the people not reading! 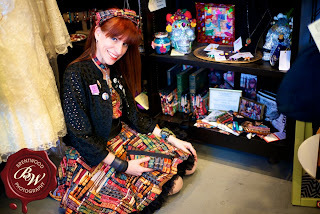 It is the reason I use pop culture and catchy songs in my shows and why at Stand-Up Librarian Designs I make purses and hats, not Kindle cases. I keep hoping that maybe a joke, a cute purse, or a literary parody song encourages someone out there to grab a book or get a library card! 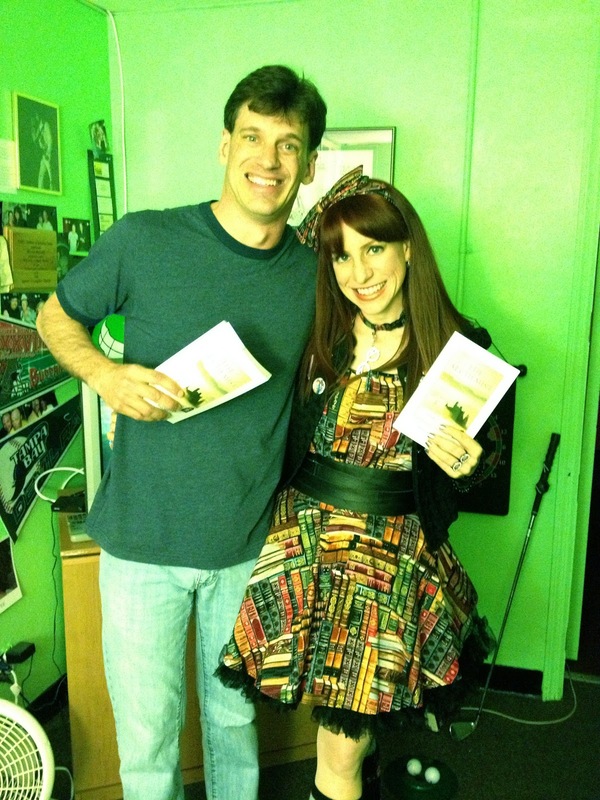 Joining World Book Night as a Giver also seemed like a perfect time for me to head back to the comedy club. Most of the time as a literary comedian, I perform at libraries or book events for librarians and book lovers, but I have missed the diversity of the audiences at comedy clubs (well, not the hecklers or drunks.) 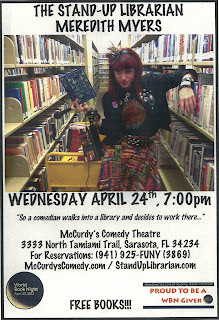 In performing at a library fundraiser down in Sarasota back in January, I was reminded of McCurdy's Comedy Club. 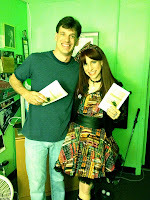 It was one of the first places my friend and comedy mentor Dan Whitney, first performed as Larry the Cable Guy. I don't talk about my journey into becoming a comedian or the "Stand-Up Librarian" very much (I am saving that story for my book), but I will tell you that one story has been the reason I keep going regardless of the obstacles put in my way. It is called The Alchemist by Paulo Coelho and it is the book I will be giving away on Wednesday at the show. For reservations call 941-925-FUNY (3869) or visit McCurdysComedy.com. 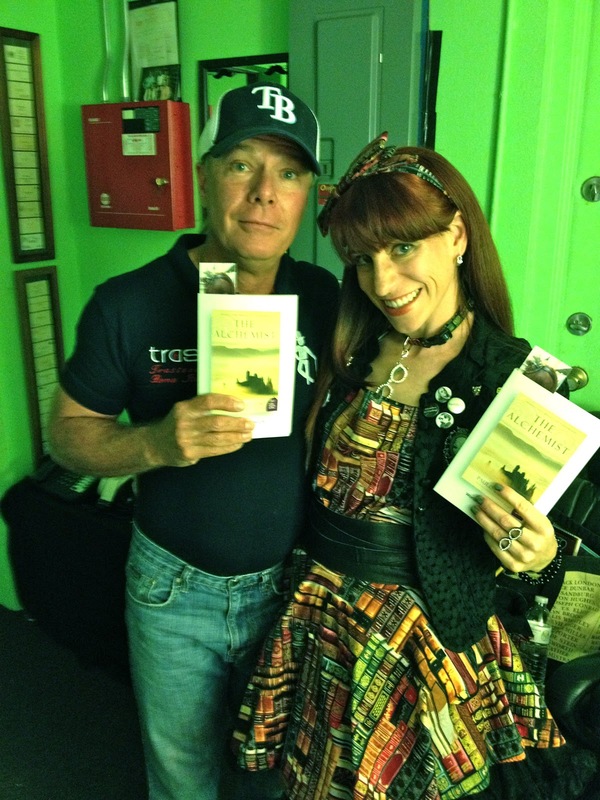 McCurdy’s Comedy Theatre is located at 3333 North Tamiami Trail, Sarasota, FL 34234. Dan "Larry the Cable Guy" Whitney. as a struggling comic in the 80's & 90's continues to inspire me. Celebrating ARTpool Gallery 5th Anniversary & National Library Week! For a direct link to video, please click here. Thanks to Marina Williams and everybody at ARTpool Gallery for having me out to perform a couple of my literary parody songs on Saturday night in celebration of their 5th Anniversary. It was a wonderful way to kick off National Library Week, plus we had great weather and a whole lot of fun! 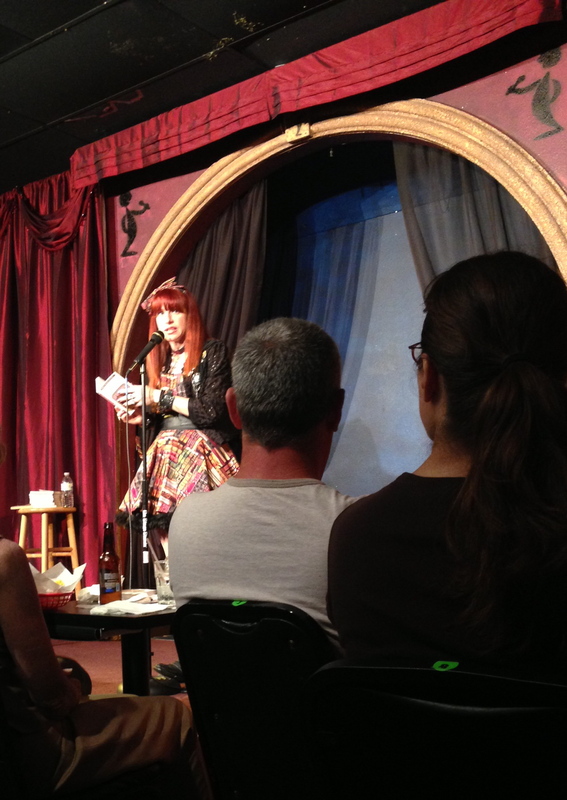 My favorite moment of the show was hearing the audience chant "JOYCE, JOYCE, JOYCE" during my first-ever live performance of "JOYCE Around," a tribute to James Joyce and all things Irish. There was also something special about performing "THE RAVEN is Hard to Handle" under a crescent moon. Perhaps Edgar Allan Poe was looking down on me and laughing at my silly mustache. Special thanks to Clinton Lee at Brentwood Photography for the fabulous photos! I look forward to spending more time at ARTpool now that my literary bags are being sold there. Just look for the library shelf filled with books and birds! Support libraries and local art!!!! 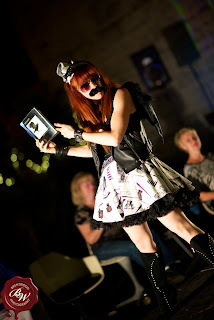 Performing at ARTpool Gallery - SATURDAY! 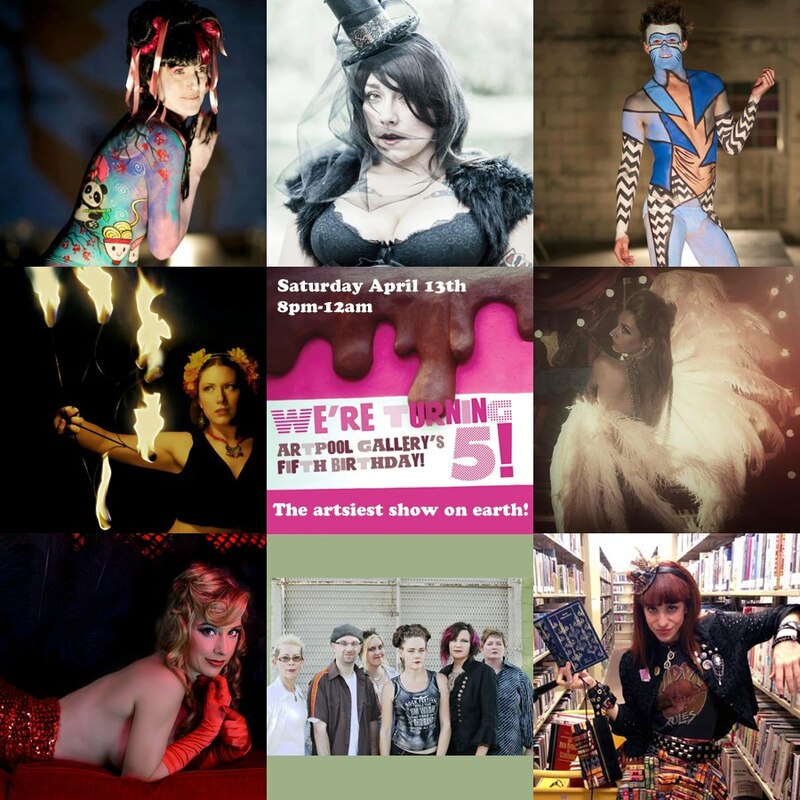 Just a heads up for those in the Tampa Bay area...I will be performing my literary parody songs at ARTpool Gallery's 5th Anniversary Party THIS Saturday, April 13th. The event is from 8pm - 12am and supports local artists. As a 5th generation native of St. Petersburg, I am extremely thrilled to celebrate my friend Marina Williams and ARTpool Gallery for their incredible artistic contributions to my hometown. Stand-Up Librarian Meredith Myers, Aerial Dance Performances by The Girly Show, and more! 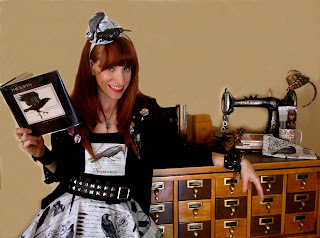 My literary fashions will also be available for purchase at ARTpool Gallery from now on, so please come on out to say hi, support local art, and flap your wings while I sing "THE RAVEN is Hard to Handle" in my brand new Raven costume. 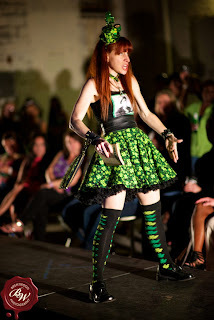 My new Raven ensemble. Purses available for purchase here.